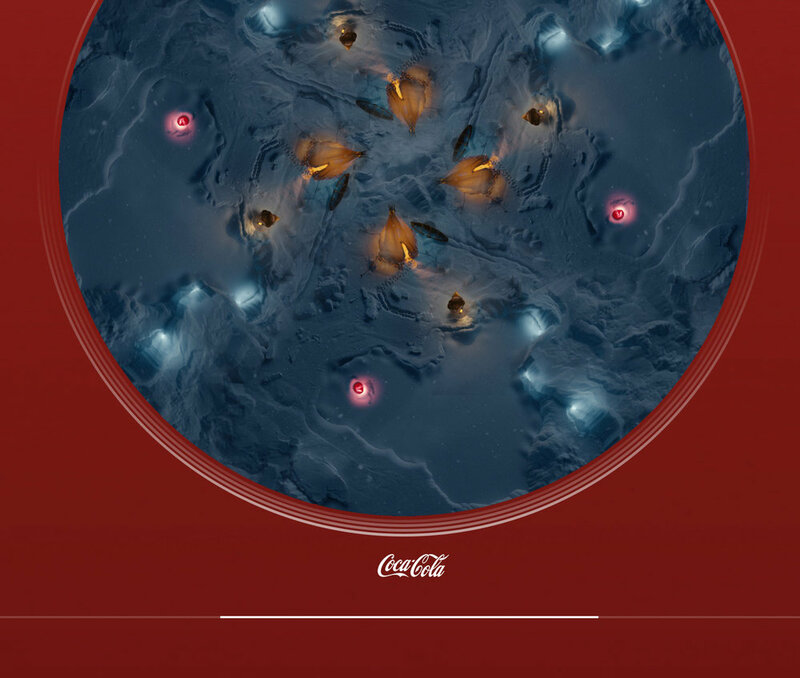 After long-lasting work processes, we’re presenting our Coca-Cola Table Projection Mapping project. We’re thankful to Antilop for working with us after they’re done with the script and concept design stages. The project is designed as an experience for the people who are going to eat their dinner on circular tables at Coca-Cola’s event. As Basthead, we completed the storyboard, character design, modelling, environment design, animation, look development and compositing stages. Various softwares are used during this project. The fundamental software was 3Ds Max. For the VFX stages we preferred Houdini and as the render engine we used Redshift. 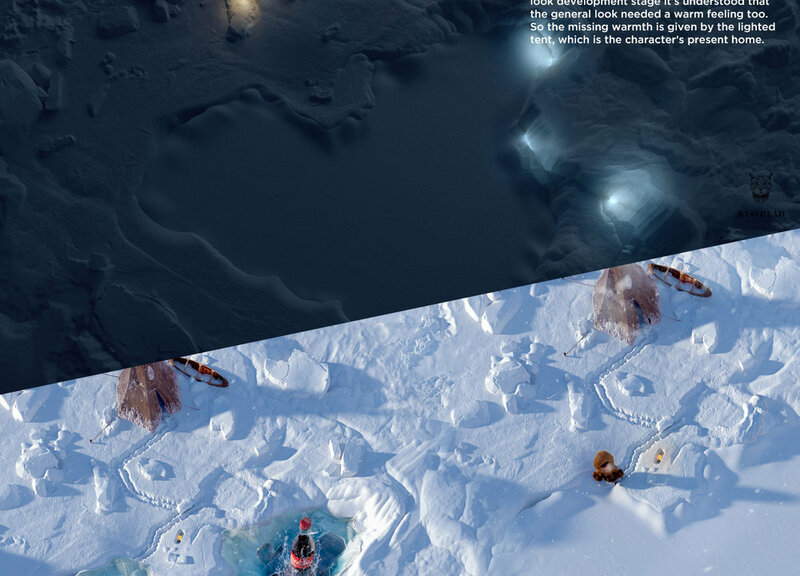 Liquid and ice simulations are made with Phoenix FD. Because the video will be projected to a table, the camera needed to become deformed. So, after lots of projection tests the ideal viewpoint is obtained. Hope you’ll enjoy, too.